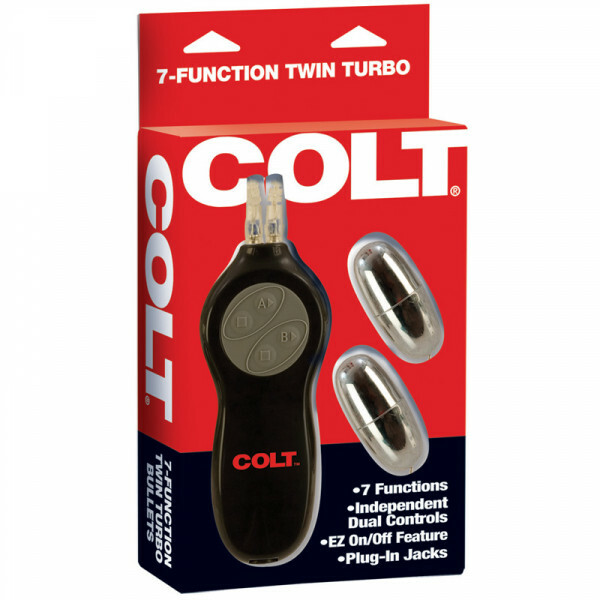 Colt turbo bullets are great for both men and women, and can provide a very intimate experience for any couple. 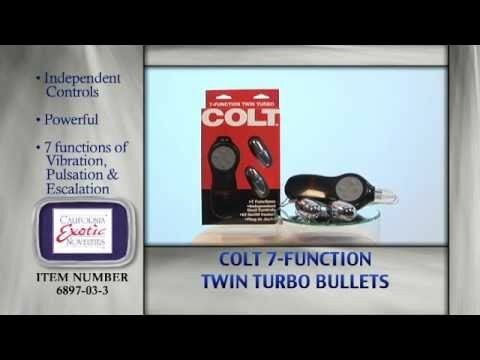 The COLT 7 Function Twin Turbo Bullets can be used by both partners at the same time for a good time in the bedroom. These twin bullets can be controlled individually via the intuitive control pack. 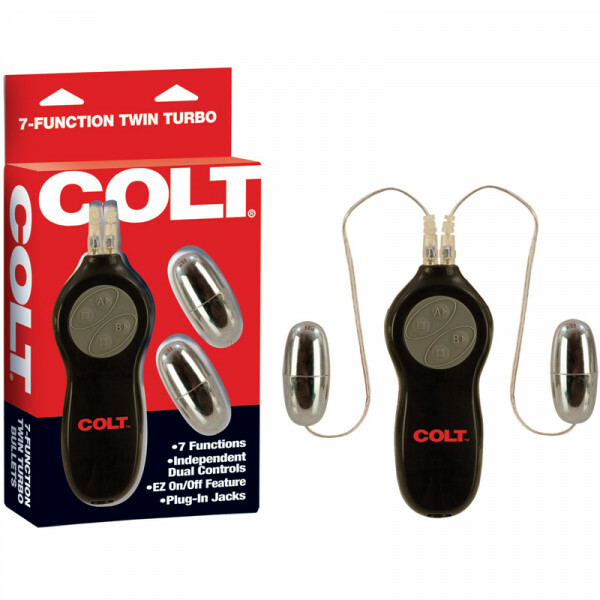 The COLT 7 Function Twin Turbo Bullets can be used to stimulate and excite vaginally and anally via its 7 functions of vibration, pulsation and escalation. 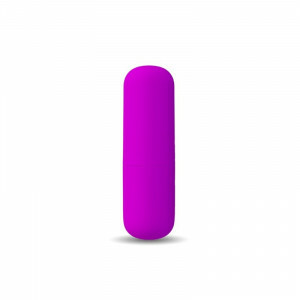 Vibrating both entries together in unison often creates an extremely intimate experience. 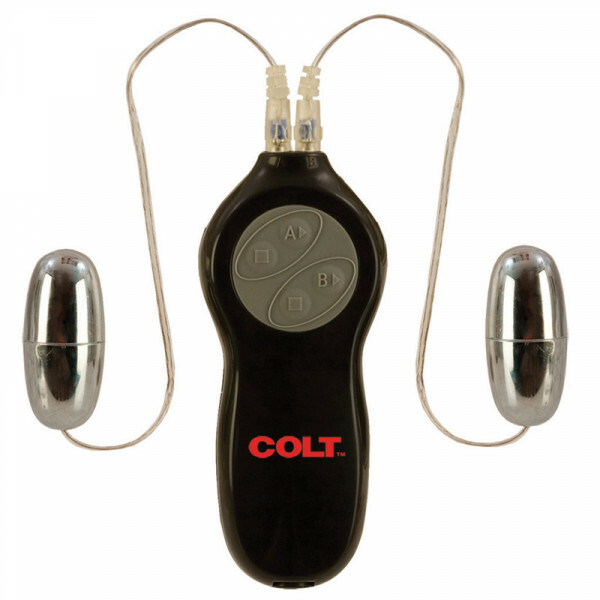 These quality Colt bullets can be used virtually anywhere, but for a mind-blowing experience, let your partner use both bullets on you at the same time. These wonderful toys are made of plastic and work on 4x AA batteries.